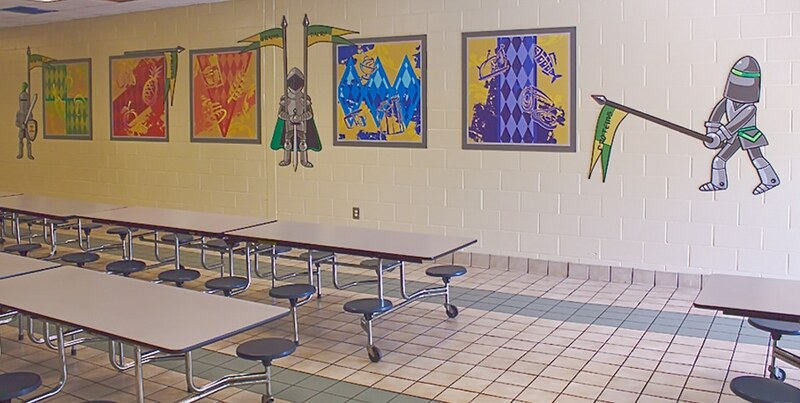 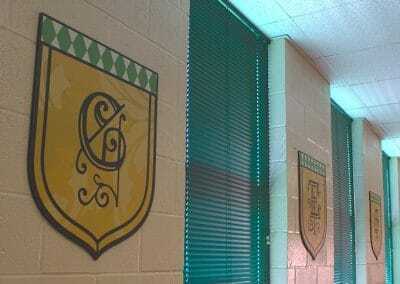 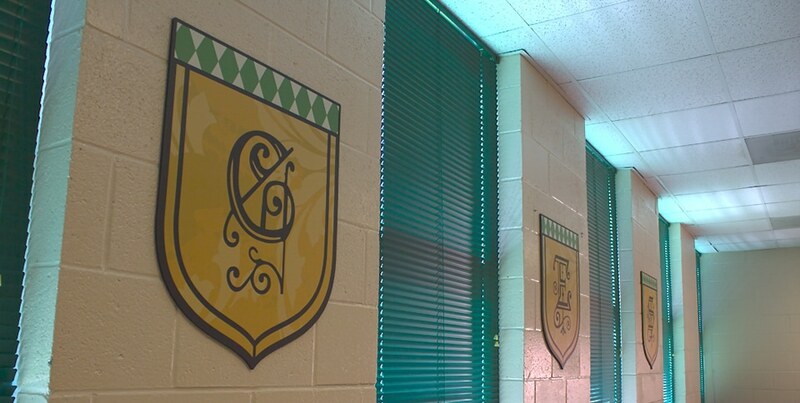 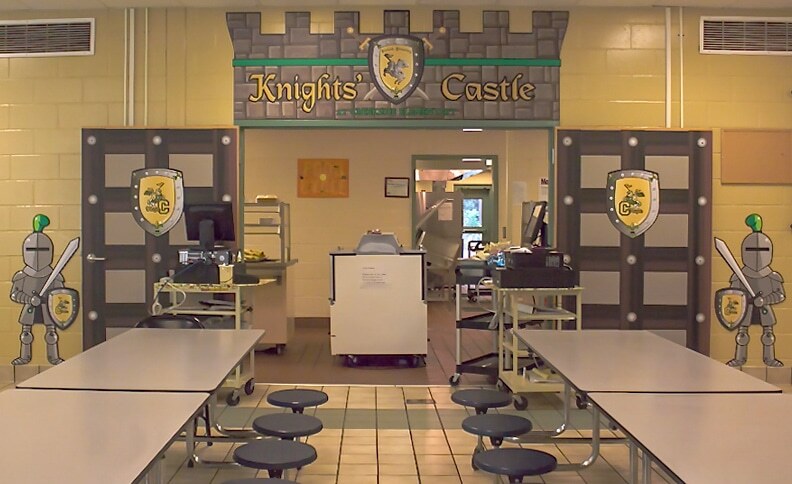 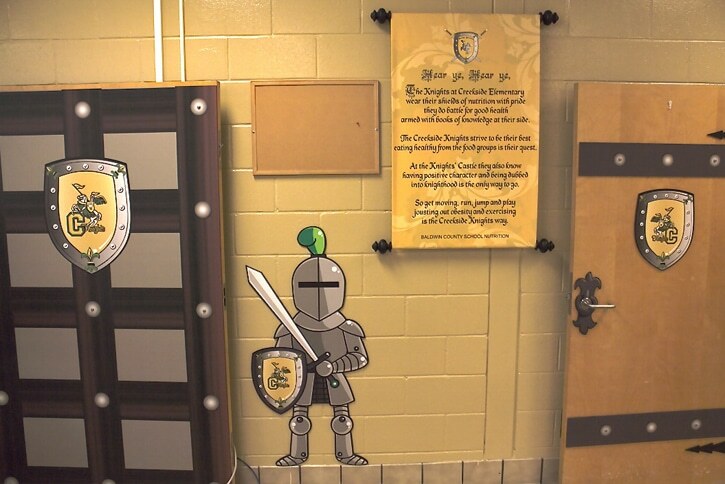 Hear ye, Hear ye… The Creekside Elementary School is under siege as the Creekside Castle Cafe transforms the cafeteria literally, from day to Knight. 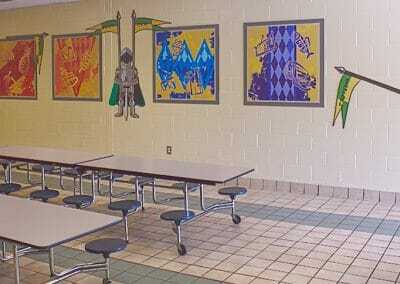 The royal treatment begins with a fresh coat of shinny new armor beguiled with emerald and gold jewel tones. 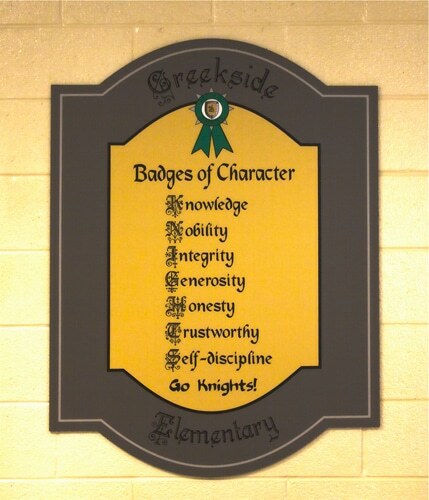 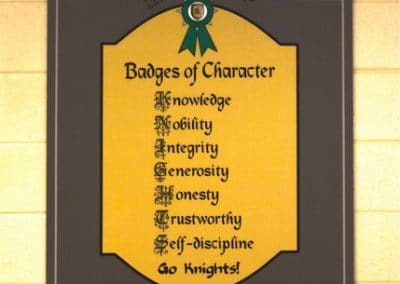 Sir Baldwin, the Brave, gathers all the Creekside Knights at the Round Table to set the quest for the highest standards of education, enforce the codes of character and vow to joust like the Knights all for wellness and fitness. 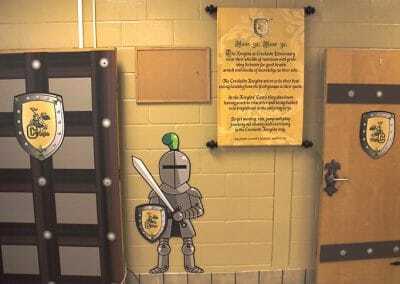 These achievements are depicted through narrative hanging tapestries filled with the color spectrum canvassing the walls. 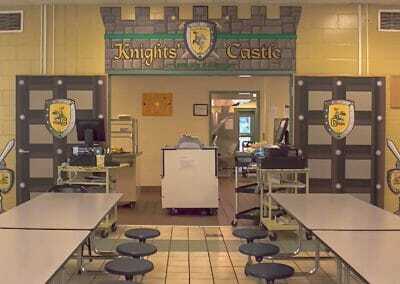 Yes Sir, it is has been conquered, the Creekside Knights at the Creekside Castle Cafe is dubbed the most regal spot in the Kingdom and truly fit for a Queen.